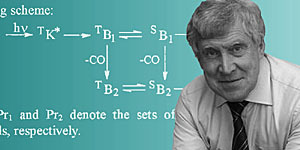 Academician Renad Zinnurovich Sagdeev is an outstanding expert in the field of chemical physics. R.Z.Sagdeev's works in the field of spectroscopy of nuclear magnetic resonance and molecular magnetics gained a wide popularity in our country and also abroad. R.Z.Sagdeev with his collaborators has developed a new trend in chemistry, specifically, the study of the influence of electronic and nuclear spins on the radical chemical reactions. The important result of these works has been a discovery of two new phenomena that involve the effects of a constant magnetic field on radical reactions in solutions and magnetic isotope effect. The main merit in the organization of International tomography centre of the Siberian branch of the Russian academy of science is due to R.Z.Sagdeev, this centre being a national leading scientific centre into the studies of the magnetic phenomena in chemistry, where unique conditions have been created to solve the fundamental scientific problems and the applied problems that are related to a modern-day materials science and also to a service of the scientific equipment and medical exams of the population. 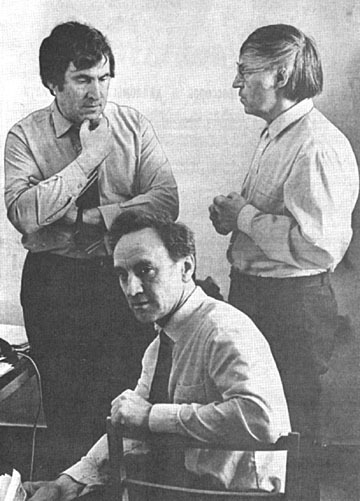 Later, R.Z.Sagdeev organized the Interfaculty centre into magnetic tomography and spectroscopy at the M.V.Lomonosov Moscow State University. He has been elected an honoured professor of the Moscow, Rostov, and Irkutsk universities. Being the vice-president of SO RAN, R.Z.Sagdeev makes a significant contribution to the development of science in the Siberian region. R.Z.Sagdeev is involved in the editorial boards of "KHimichyeskaya fizika" and "Soobscyeniya po kinyetikye i katalizu" magazines. He is the member of the InterAmerican photochemical society, the member of the Committee of the "AMPERE" international society. He is the author of more than 400 scientific works, including 5 monographs and 7 reviews. 5 doctor's and more than 20 candidate's theses has been prepared under his supervision. R.Z.Sagdeev's scientific merits have been rewarded by the Lenin premium and the State premium of the Russian Federation. * The source: Izvyestiya Rossiiskoi akadyemii nauk. Syer. khim. 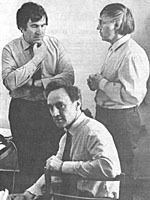 - 2001. - N 12. - S.xiii. Dokumyent izmyenyen: Wed Feb 27 14:46:44 2019. Razmyer: 8,546 bytes.